Design Burd Inc.Why Move? Redecorate! | Design Burd Inc.
Why Move when you can redecorate? 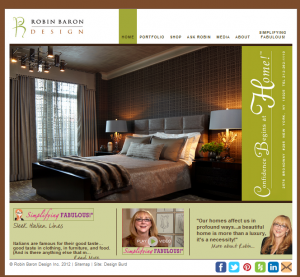 Robin Baron Design is a a WordPress site that needed some updates, change in content and upgrades to the new version of WordPress. With the new tools on the site Robin Baron Team can edit, grow and publish fabulous photos broadcasting their redecorating talent!